I started selling online via this platform since 2009. My mission is to offer hard to find Cosmetics from the leading Beauty Manufacturers. I have never had a single complaint about a delivery of products. I work hard to ship out quickly as possible and with the utmost care. Lately, it has been increasingly difficult to market discontinued cosmetics. 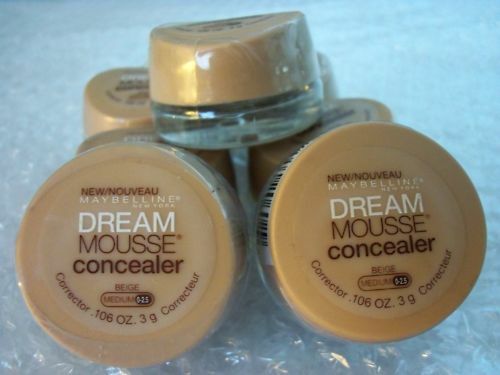 Since many drugstores are know selling discontinued cosmetics until the entire stock is depleted. In response, I have become extremely selective in what I offer. I, also have begun introducing other products that may be of interest to my target audience. I really do work directly with major suppliers. I offer great deals on products that are Brand New & Factory Sealed. Please be assured all photos are taken by me and are an exact representation of the products I carry. I may at times use supplier image of products & fragrances. Please be assured that the Fragrances and Luxury Skin Care items are 100% Authentic and in Original Manufacturer Packaging. This website is absolutely secure guaranteed! Last Updated: Sep 9, 2018 Listing Expires: Mon Sep 9 14:08:20 2019 This listing has been viewed 5721 times.